For West Australian jazz musician Kate Pass, music is a means of transcending cultural and geographical boundaries, a passport to other places and a way of communicating across language barriers. As leader and composer of Kate Pass Kohesia Ensemble, she brings together her passion for Persian music and jazz, and the group’s 2019 Fringe World show, Kohesia Presents: A Night of Persian Jazz, promises to transport audiences to another place. Seesaw chatted to Pass to find out more. Seesaw: When did you first know that you wanted to be a musician? Kate Pass: I always enjoyed music as a child, and was encouraged from a young age to be creative and play. I remember going to concerts, being in awe of musicians performing on stage and thinking to myself, “I’d love to do that!” After playing trombone for a few years in high school, I picked up a double bass and within a few weeks of learning, I decided that’s what I wanted to do for the rest of my life. KP: I was lucky to be part of a newly-introduced instrumental music program at Newman College, where I had some great music teachers. 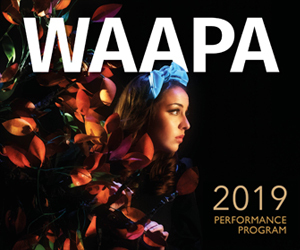 After school I went to WAAPA and studied for a Bachelor of Music (Jazz). A lot of my learning was done on the job though, from playing a wide variety of gigs with a broad range of musicians. There’s always more to learn, and much can be gleaned from working with, and watching, other musicians. KP: I’m a double bass player – usually this means I’m a side-person, but I also lead my own band (Kohesia Ensemble). I compose the music myself for Kohesia, inspired by my love of Persian music and jazz. As well as performing live, I spend a lot of time playing music on my own, or jamming with friends, as well as composing and trying to come up with new ideas. KP: Every day is different! It’s also really special to work with so many talented musicians, and connect with them both musically and personally over a long period of time. I also love the way music transcends cultural boundaries – you can go anywhere in the world, and even if you don’t speak the same language, if you both play music, you can communicate and understand a lot about each other through music. KP: Through being a musician, I have had some amazing opportunities to travel. Some highlights would be playing at the Metropolitan Museum of Art in New York with Persian singer Tara Tiba, and also at my favourite world music festival, WOMADelaide, with the same band. Recording my debut album “Kohesia” was also a really special experience! KP: Being on a 10-day cruise and getting so seasick I could only get out of bed to perform – and had a very green tinge on stage! I never missed a performance though! KP: “Kohesia Presents: A Night of Persian Jazz” will take audiences on a journey, exploring the sounds of Persian modes and instruments with jazz. It features my original music, which enables a musical conversation between the unique voices of amazing musicians within the ensemble. Unusual time structures, microtonal melodies and soaring solo sections will transport audiences to another place. KP: I’m fortunate to be involved in several other Fringe Shows, so I’m really looking forward to performing with Adam Hall and the Cuban Young Guns, and Perth Cabaret Collective. I’m also excited to see some circus and cabaret acts that I wouldn’t usually get to see throughout the year. More than anything I’m looking forward to the great vibe that Perth has during Fringe World. S: What is your favourite part of the playground? Pictured top is Kate Pass (centre) with Kate Pass Kohesia Ensemble.